In support of improving patient care, Boston Children’s Hospital is accredited by the American Nurses Credentialing Center (ANCC), the Accreditation Council for Pharmacy Education (ACPE), and the Accreditation Council for Continuing Medical Education (ACCME) to provide continuing medical education for the healthcare team. Boston Children’s Hospital designates this activity for a maximum of 29 contact hours for nurses. 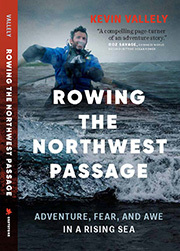 Kevin has organized and led extreme expeditions around the world and has garnered a powerful understanding of leadership, resilience and perspective in unpredictable and fast changing environments. He has translated this knowledge into a business acumen that activates and amplifies leadership instincts. 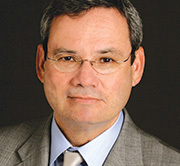 A Founding Partner at Cohen, Placitella, Roth P.C. , Mr Cohen has had a long record of successes including the “Top Settlement or Verdict of 2013 in Pennsylvania”, a “Top 100 Jury Verdict in the United States”, and a “Top 20 Recovery” in New Jersey. He won a landmark $25 million case, recognized as one of the Top 100 Verdicts in the United States. His clients have included children catastrophically injured at birth because of substandard medical care. He has made it possible for victims to successfully recover against hospitals and physicians. The conference features new and innovative topics presented by national and international experts. Six unique scenarios, inclusive to all areas along the sedation continuum. Additional option for Hands-On Airway Workshop at lunch. Simulation is a highly adaptable tool for evaluating individual knowledge and team performance. 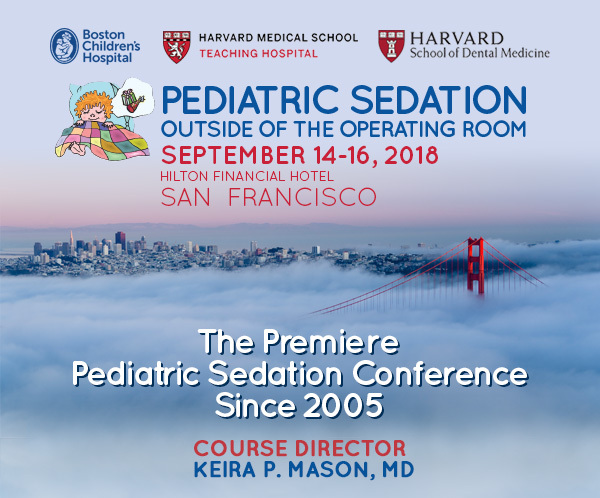 One-day course is a comprehensive introduction and review of the fundamentals of pediatric sedation. The course offers a unique opportunity to update your knowledge in the format of didactic sessions, open forum question-and-answers, clinical case reviews and interactive video presentations. This conference is intended to improve learner competence and performance by reviewing not only the basics of sedation but also updating the registrant to current, evolving and state-of-the art practice (i.e. knowledge). 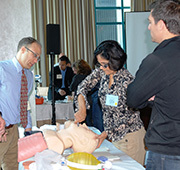 The conference has unique optional hands-on workshops on topics ranging from Airway Management to Capnography. Small interactive groups with outstanding instructors. The conference brings together engaging speakers who are renowned authorities on pediatric sedation and pediatric dental sedation. Diverse group of internationally and nationally recognized speakers from a variety of disciplines including: anesthesiology, emergency medicine, hospital medicine, dental medicine, intensive care medicine, pediatrics, nursing, and hospital administration. Specialized tracks, round table discussions and open forums to share our experiences, ideas, and challenges with faculty and colleagues. The comprehensive review of the basics of sedation (Friday Symposium), and inclusive weekend discourse of current and evolving state-of-art practice are intended to expand learner competence and knowledge. This conference is intended for physicians, dentists, registered nurses, nurse practitioners, advanced practice nurses, pharmacists, and health care administrators. Specifically, the healthcare professionals have represented the specialties of anesthesiology, radiology, emergency medicine, hospital medicine, pediatrics, dental medicine, dental anesthesiology, intensive care medicine and gastroenterology. In support of improving patient care, Boston Children’s Hospital is accredited by the American Nurses Credentialing Center (ANCC), the Accreditation Council for Pharmacy Education (ACPE), and the Accreditation Council for Continuing Medical Education (ACCME) to provide continuing medical education for the healthcare team. Boston Children’s Hospital designates this live activity for a maximum of 29.0 AMA PRA Category 1 Credits™. Physicians should claim only the credit commensurate with the extent of their participation in this activity.AAPA accepts AMA category 1 credit for the PRA from organizations accredited by ACCME. Through an agreement between the American Medical Association and the European Union of Medical Specialists, physicians may convert AMA PRA Category 1 Credits™ to an equivalent number of European CME Credits® (ECMECs®). Information on the process of converting AMA PRA Category 1 Credits™ to ECMECs® can be found at: www.eaccme.eu. Friday Symposium (9/14/2018): Approved by the American College of Emergency Physicians for 8.5 hour(s) of ACEP Category I credit. Friday Simulation Workshop (9/14/2018): Approved by the American College of Emergency Physicians for 8.5 hour(s) of ACEP Category I credit. This activity meets the requirements for 9 Risk Management Credits as proscribed by the Massachusetts Board of Registration in Medicine and defined in 243 CMR 2.06(5)(d) I. Please check your individual state licensing board requirements before claiming these credits. Boston Children’s Hospital designates this activity for a maximum of 29 contact hours for nurses. Nurses should only claim credit commensurate with the extent of their participation in the activity. Approved by the New York State Board for Dentistry for the 12 clock hours of education in anesthesia/sedation techniques.